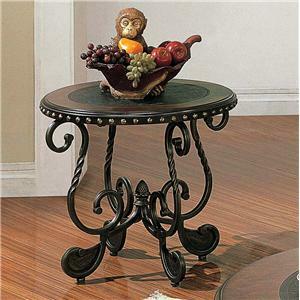 Adorn your home with the elegance of the round cocktail table. 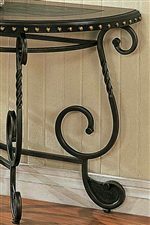 A traditional design features metal scrolled legs with beautiful accents, a curvaceous base and a black inlay with nailhead trim. Add the matching sofa table and end table for a complete set. 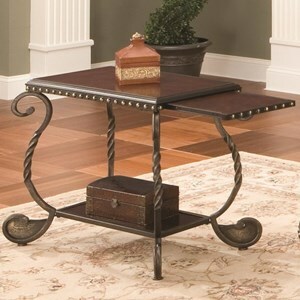 The Rosemont Traditional Round Metal Cocktail Table at Morris Home in the Dayton, Cincinnati, Columbus, Ohio, Northern Kentucky area. Product availability may vary. Contact us for the most current availability on this product. 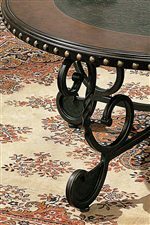 Elegance flows throughout the Rosemont occasional table collection. This collection includes the cocktail table, end table and sofa table. This collection is defined by its flowing shape and intricate detail. 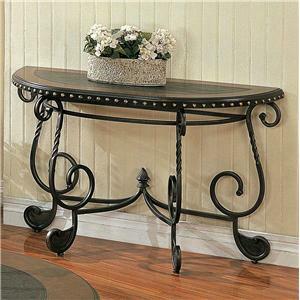 A curvaceous base features metal scrolled legs with gorgeous accents, while the nailhead trim and black inlay of the table tops highlight the inviting design. Add the graceful style of the Rosemont Collection to your home. 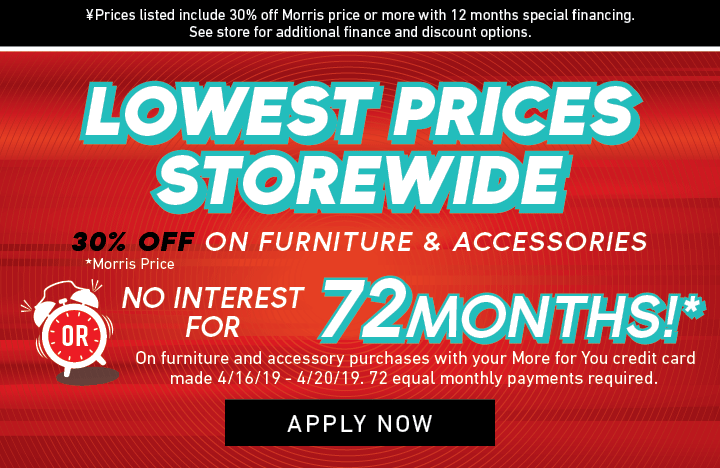 The Rosemont collection is a great option if you are looking for Traditional furniture in the Dayton, Cincinnati, Columbus, Ohio, Northern Kentucky area. 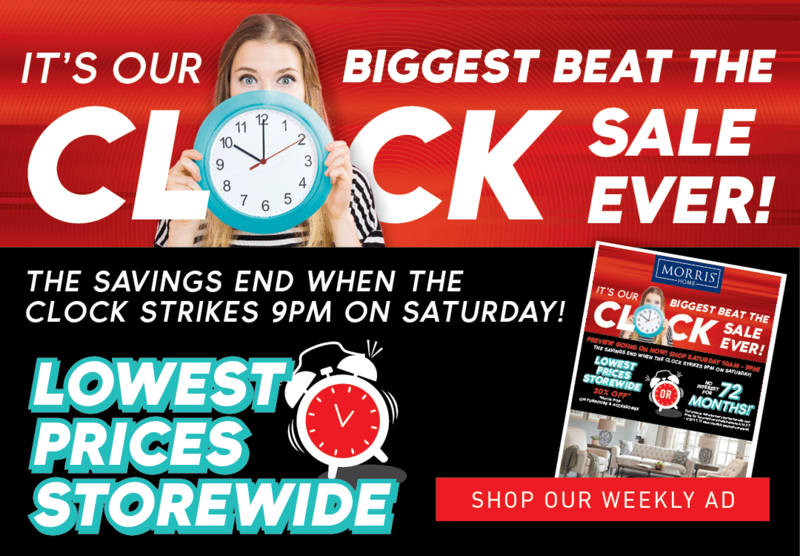 Browse other items in the Rosemont collection from Morris Home in the Dayton, Cincinnati, Columbus, Ohio, Northern Kentucky area.